Webster’s dictionary defines the word “muse” as “the source of an artists inspiration,” a definition which also describes cartoonist extraordinaire Ken Muse. Through his television work, comic strips and art classes Ken has inspired thousands of young cartoonists to pursue a career in commercial art. Ken Muse was born in Detroit, Michigan on April 28, 1925. He first put pencil to paper at the tender age of five. At the age of twelve he took a mail order correspondence course through the Landon School of Cartooning and Illustrating. While attending Northeastern High School Ken created comic strips for the school newspaper. Upon graduation he enrolled in Detroit’s Meinzinger School of Art. During World War II he trained as a pilot and a medic in the Army, treating wounded soldiers on the battlefield. 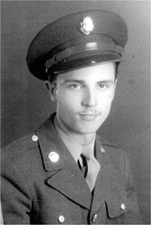 Ken served in France and fought in the Battle of the Bulge. After the war Ken returned to Detroit, where he found work as a technical illustrator and cartoonist at the Jam Handy Organization, at the time one of the largest producers of industrial films in the world. In the early 1950s Ken’s cartooning skills were used in a handful of Detroit TV programs. Tello-Test, a WJBK quiz show hosted by Joe Gentile, featured Ken drawing clues to a puzzle that home viewers were invited to solve for cash prizes. On Sketches From Life Ken created portraits of famous Detroiters. Ken was also artist-in-residence of WXYZ’s Warren Michael Kelly Show, a morning talk show that also featured future Wixie's Wonderland alumni Frank Nastasi and Diane Dale. 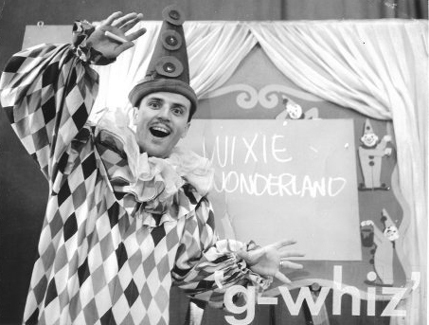 No stranger to Detroit TV kid’s shows, Ken was a frequent guest on Barnaby Bear, Sagebrush Shorty, Bwana Don and Wixie’s Wonderland, where he appeared daily as Gee Whiz, the fastest artist there is. From 1960 to 1962 Ken was the assistant art director at WJBK-TV. From 1962 to 1964 he worked in the animation department at Group Productions, where he helped to create the classic animated Roy O'Brien Ford commercial (Stay on the right track, to 9 Mile and Mack). From 1964 to 1970 he drew Way Out, an aptly named comic strip consisting of bizarre “way out” gags and situations. The popular strip was seen in over a hundred newspapers, including The Detroit News. 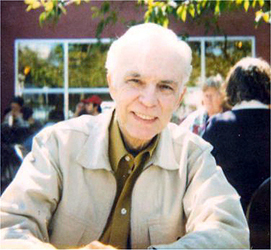 An accomplished author, Ken has written five books on cartooning, photography and videography for Prentice-Hall and Simon & Shuster. His books The Secrets of Professional Cartooning and The Total Cartoonist are considered textbooks for anyone interested in pursuing a career in cartooning. Ken taught commercial art and photography at Macomb County Community College from 1968 until his retirement in 1999. Ken’s television career came full circle in 1988, when he received a Silver Circle award from the National Academy of Television Arts and Sciences for his pioneering work in the television industry. Ken Muse passed away on June 19, 2010. In his book The Total Cartoonist Ken wrote, “I don’t remember wanting to be anything but a cartoonist. “I’m lucky. There seems to be few people who know what they want, and never change their minds.” Ken has remained true to his word. For over fifty years he had been fortunate enough to work in his chosen field, as a professional cartoonist.